What is Ear Lobe Repair? Many men and women have suffered from tears, splits or enlarged holes in the earlobes from jewelry wear or other accidents. 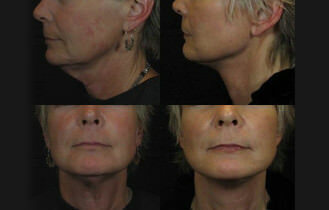 Dr. Chan can correct these issues with a simple ear lobe repair procedure in the Portland area. Call today to schedule your ear lobe repair consultation to determine if this procedure is right for you. How is Ear Lobe Repair Performed? Depending on your needs, there are a few different types of procedures Dr. Chan can perform. At your initial consultation, we can discuss which procedure is right for you. One example of a procedure is the flap technique which can help minimize scarring. The technique also depends on whether the tear is through the lobe, or if the rim of the lobe is spared. Patients should be able get their ears re-pierced after surgery, be sure to discuss this with Dr. Chan. What Can I Expect After Ear Lobe Repair? There is minimal downtime and very little discomfort following ear lobe repair. You will have stitches after surgery that need to be removed 1 week after the procedure. How Much Does Ear Lobe Repair Cost? Our Reviance Portland® staff can discuss all of your pricing and financing options at your initial ear lobe repair consultation in Portland. It is your obligation to speak with your insurance provider to see if treatment is covered under your plan.